Introduction: George William Hook was a Superintending Engineer at the British Post Office (GPO) for many years, where he was involved with at least one interesting underground cable project. The two mounted cable samples shown below, together with information on George W. Hook and scans of family photographs and documents, were very kindly provided by site visitor Sarah Hook, who is George’s great-granddaughter. George’s sons George Henry John Hook and Herbert Gerard Hook (Sarah‘s grandfather) also both worked for the Post Office in the Engineering Department. On the 1901 census Herbert is listed as “Inspector 2nd Class, London Engineering Branch Post Office Telegraphs,” and on Sarah’s parents’ marriage certificate as “Post Office Engineer Retired,” while his older brother George is listed on the 1901 census as “Engineer, Post Office Telegraph,” and on the 1911 census as “Engineer, Engineer-in-Chief’s Department, General Post Office.” Although little is known about either brother’s career at the GPO, it seems likely that one of them was the source of the cable samples, both of which are from cables laid in 1926. While George Hook was not directly involved with undersea cables (as far as we know), his work on new underground cables, improvements in which paralleled those for submarine cables, are nonetheless of related interest, and some details of his life and work are recorded here. George William Hook was born in 1847 at Newington in central London, just south of the Thames. His place of birth is also given in census records over the years as Lambeth,Walworth, and Camberwell—all four places are within a few miles of each other. 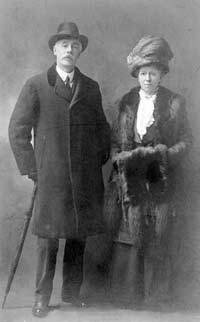 He married Hannah Maria Dixon in 1872. His occupation on their marriage certificate is recorded as “Civil Service,” and as his 1910 retirement certificate notes that he had served at the Post Office for 41 years, he had already been working there for about three years at the time of his marriage. On 22 November 1875 he was proposed for election as Associate of the Society of Telegraph Engineers by George E. Preece. His qualification for membership was given as “Inspector: Engineering Department, Metropolitan Division,” and he was duly elected on 8 December 1875. George Preece and his brother William H. Preece had worked on a number of early submarine cable projects. William subsequently became Engineer-in-Chief of the Post Office, and George Hook worked under him. The route along which the cable is laid is as follows:— Leaving London by the Edgware-road, which it meets at Cricklewood, it runs to Watford, entering the telegraph office there, thence through King’s Langley and Hemel Hempstead; to Leighton Buzzard, from which place also the lines can be used. Continuing, the line passes Fenny Stratford, Stony Stratford, Towcester, Weedon, Southam, Leamington, Warwick, and Hockley Heath, entering Birmingham by the Old Stratford Road. Three-inch cast-iron socket pipes carry the cable. These are laid in 9ft. lengths, and jointed with lead in the usual way. The cable being in 152-yard lengths, of which one yard is left over at each end for jointing and slack, a discontinuity in the pipe 4ft. 2in. long is left at the end of each 150-yard section of the route. This is afterwards bridged by a cast-iron sleeve, as will be explained. The pipes are laid at a depth of 2ft. under the footways and 2ft. 6in. under the roadways, with a wire for drawing in the pulling rope. In the event of a breakage in the wire, or a similar mishap, sweeps’ rods are used to thread the pipe. The whole line between London and Birmingham (about 112 miles) has not yet been completed. The pipes have been laid as far as Leamington, and the work of laying them between Leamington and the Birmingham Post Office is progressing, being divided in three sections. Cable has been drawn in up to three miles north of Weedon, and jointed completely up to two miles south of Weedon, i.e., about 78 miles from London. Between London and Fenny Stratford, where some important road-lines meet, it is already working, and it has proved of considerable assistance as a reserve during the recent gales. By the middle of next month it will be in working order as far as Weedon, where the route crosses the West Coast land lines. 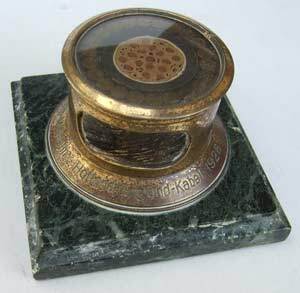 The Countess and the Telegraph Cable.—The Countess of Warwick has been taking the greatest interest in the operations of the men who have been employed in laying the new telegraph cable from London to Birmingham. It will be remembered that when the ground was first opened in this district for the laying of the pipes the Countess graciously entertained the men to tea at the Castle one Sunday afternoon—the only day on which they were at liberty. Hearing that the cable itself was being placed under the ground, her ladyship at once became intensely interested in the subject, and on Tuesday morning she drove from the Castle gates, along the Birmingham-road, in the direction of Hatton, where the operations are at present in progress. The methods adopted in the laying of the cable, which we described in this column the other week, were minutely explained to the Countess by Mr. G.W. Hook, the superintendent engineer appointed by the Post Office authorities, and her ladyship then drove with the engineer to Warwick-old-road, where number of the Post Office men were engaged in the process known as “jointing up” the cable. Mr. Hook explained this part of the work to the Countess, who expressed the great amount of pleasure the inspection of such interesting work had given her. Before leaving the Countess invited the men to the Castle on Sunday, June 18th. Her ladyship has been presented with a mounted specimen of the cable. Some extracts from a newspaper interview with George Hook after the completion of the London-Birmingham section of the cable will convey the importance of the project. The article also notes the possibility of connecting London to Penzance with an underground cable to service the high volume of traffic over the Atlantic cables at Penzance. The winds may blow as they never blew before, and so far as telegraphic communication between London, Birmingham, and Manchester is concerned, it will make little difference. The authorities of the postal telegraph department are enabled to display such complacency in consequence of the very satisfactory progress which has been made with the great scheme of connecting London and the North with cables laid underground, where they will be undisturbed by the gales and snowstorms which hitherto have been the bane of the telegraph engineer. As is well known, the cable of 76 wires between London and Birmingham has been completed some 12 months or so, and in use; and public interest is now centred in the progress of the work in connection with the continuation of the scheme Northwards. This work has been in hand some little time, and Mr Hook, the superintendent engineer of the Birmingham district of postal telegraphs, gave a “Mail” representative this morning some interesting particulars of the progress of this part of the undertaking. Mr Hook’s responsibility embraces a district which extends from the outskirts of London to Nantwich, and includes such widely scattered towns as Derby and Wellington, Market Harborough and Stourport, and Northampton and Gloucester. For three years he was engaged in the laying of the cable between London and Birmingham, and having regard to the fact that this was the first work of the kind ever undertaken in this country, Mr Hook considers it a fact worthy of note that the cost of carrying out this great scheme was well within the grant which the Treasury was asked to make for the project. Whilst a cable of 76 wires suffices for the London and Birmingham section, a much greater number of wires is required for the service northwards. This is due to the fact that Birmingham is a very important telegraphic centre, having to deal not only with its own messages, but being a transmitting office for many other towns. The underground cable northwards from Birmingham, therefore, will comprise 103 wires, and with the exception of a small interval of about ten miles on this side of Nantwich, the cable is all joined, spliced, and in position as far as Warrington, where it can at any time be linked up with the underground cable already laid between that place and Manchester. The work of completing the cable across the ten mile gap is being pushed on as rapidly as possible by bodies of skilled workmen engaged at either end of the completed cable, and by the end of March it is fully expected that the cable from London to Warrington will be absolutely completed. The pipeline over this uncompleted stretch of ten miles is already laid, and all remains to be done is to pull in the specially constructed cable of 103 telegraph wires, all of which have to be properly insulated. The iron pipes have an internal diameter of three inches, and the diametrical measurement of the cable with its leaden sheath is 2.75 inches. In case of a breakdown of the aerial wires over this distance it would therefore, be an easy matter to put along this ten miles of pipeline a small temporary cable sufficient to meet the emergency. The intention is to carry the cable as far north as Glasgow, but beyond stating that the pipeline, which is the preliminary work, is in course of construction between Warrington and Carlisle, and that a temporary cable over some of this distance has been arranged, Mr Hook has no personal knowledge of the progress of this part of the scheme that area being without his district. Speaking of the extension of the underground cable system to other provincial centres other than those names, Mr Hook said that the cost of laying the cables was very heavy and any extension of the work would depend upon the grants made by the Treasury; but it was, he thought, not unlikely that it would be considered advisable to so connect London and Penzance, so as to pick up the submarine cables. By 1907 George Hook was listed as a Superintending Engineer at the Engineer-in-Chief’s office, and in 1910 at age 63 he retired from the position of Superintending Engineer, Postal Telegraphs, S.W. & W. Districts, Birmingham. 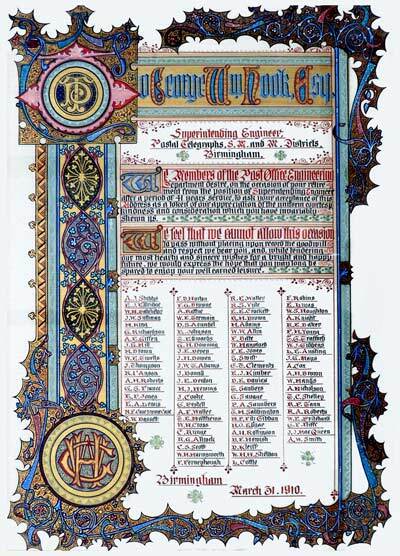 He was presented with this ornate certificate to commemorate the occasion. The Members of the Post Office Engineering Department desire, on the occasion of your retirement from the position of Superintending Engineer after a period of 41 years service, to ask your acceptance of this Address as a token of our appreciation of the uniform courtesy kindness and consideration which you have invariably shewn us. We feel that we cannot allow this occasion to pass without placing on record the goodwill and respect we bear you, and while tendering our most hearty and sincere wishes for a bright and happy future, we would express the hope that you may long be spared to enjoy your well earned leisure. 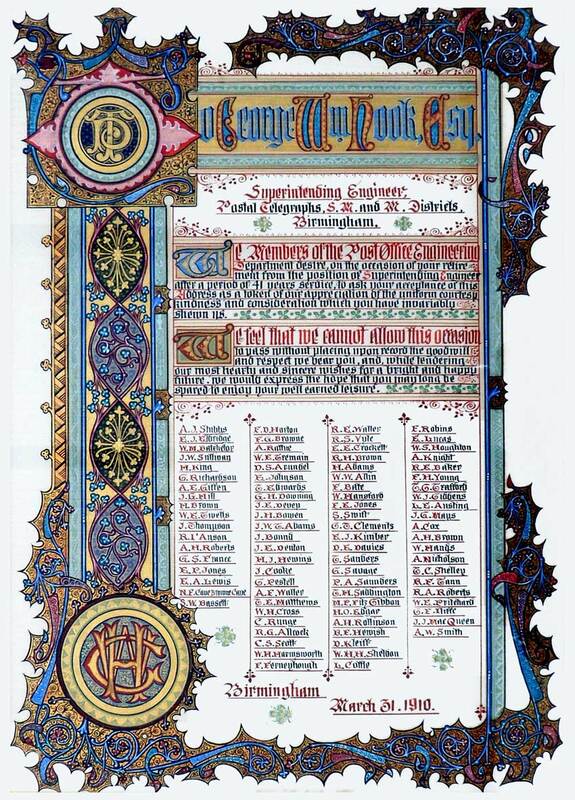 The certificate is signed by 87 of Hook's colleagues and is dated Birmingham, March 31, 1910. Soon after this, George Hook came out of retirement and resumed his engineering work for the Post Office. On the 1911 census he is listed as “Pensioner Suptg Engineer G P O Recalled To Active Service As Supervisor.” It is not known when he finally retired for good, but he died in Sussex on 12 January 1924 with effects valued at £1531 1s. 7d. As mentioned in the Introduction, George W. Hook’s sons George and Herbert also worked for the Post Office, and these 1926 mounted cable specimens must have come from them. Sarah Hook notes that in 1961 her father inherited furniture and other effects from his uncle, George H.J. Hook, and this would have included the cables. However, it is not presently known whether either of the brothers worked directly on the cable projects, or if one of them was perhaps given the cables as souvenirs by a colleague. Herbert Hook died on 18 June 1943 while serving as a Lance Corporal in the 7th Berkshire Battalion Home Guard, and George on 23 March 1961 at Worthing. Both cables were made to a similar design, with each conductor continuously loaded using a silicon-iron spiral-wrap to improve the frequency response and speed of the cable. Each conductor was insulated with three layers of paper, and the core was then surrounded by two layers of lead and the usual steel armouring wires. 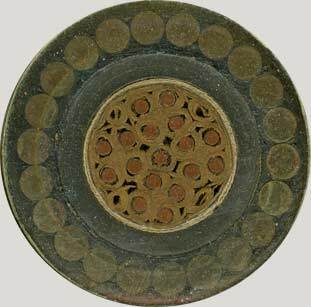 This was perhaps a joint British Post Office and German PTT design, as the use of paper and lead for insulation instead of gutta percha was somewhat unusual—more typical of land-based underground cables, in fact. The details of the construction can be seen in the cross-section views of each cable below, the two cables being shown to the same scale. The Siemens Brothers Anglo-Belgian telephone cable was laid by the company for the GPO from Dumpton Gap, England, to La Panne, Belgium, using CS Faraday (2) and CS Homedale, the latter ship laying the 20 nm of shore ends. The cable consisted of 28 copper wires arranged in seven quads, each wire being continuously loaded by a spiral-wrapped iron ribbon. 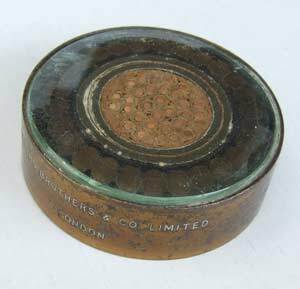 Despite the “Anglo-French” inscription on the Siemens sample, I have not been able to find any information on this cable, although it was also mentioned in a report published in The Times on 1 June 1926 of the forty-fifth Ordinary General Meeting of Siemens Brothers: “Further orders were received [in 1925] for lead covered submarine telephone cables, one for exending telephone facilities with Belgium, and one for expanding telephone facilities with France.” It is quite possible that this cable was never laid. The Felten & Guillaume Anglo-Dutch telephone cable was made and laid by the company for the German PTT using CS Nordeney and CS Neptun (1). The Domburg end was landed during April 1926, and the Aldeburgh end on 5 May 1926. 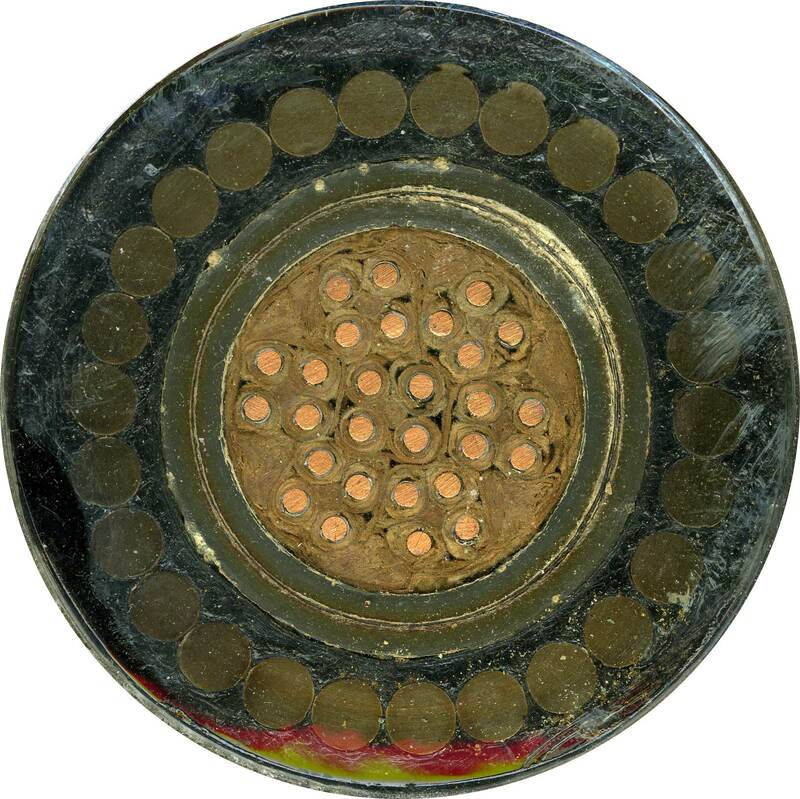 This was also a continuously-loaded telephone cable consisting of 16 copper wires in four quads plus a seven-strand centre conductor. Each of the 17 conductors was continuously loaded by means of a uniform winding of special silicon iron. You can help – if you have cable material, old or new, please contact me. Cable samples, instruments, documents, brochures, souvenir books, photographs, family stories, all are valuable to researchers and historians.